Ok guys. I have the 83 XJS Chevy SBC conversion. Im young and a car enthusiast. I love OEM.. but i would like to know what little things cosmetically or internally I can do to the Jaguar. now.. my question is can those mercedes brakes go right on.. ? and what do you have to do to fit a size almost like that. Im looking to put a 10 inch wide rim. Below is the link to the article on this one. 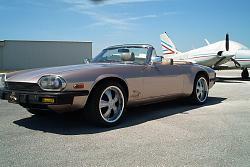 I also heard Porsche 944 flares and rear hips can be fit unto the XJS body with not much destroying. why do these jags have higher height in front than in back ? any do a battery relocate? 944 flares may cost more than simple sheet metal flared into the wheel arches! 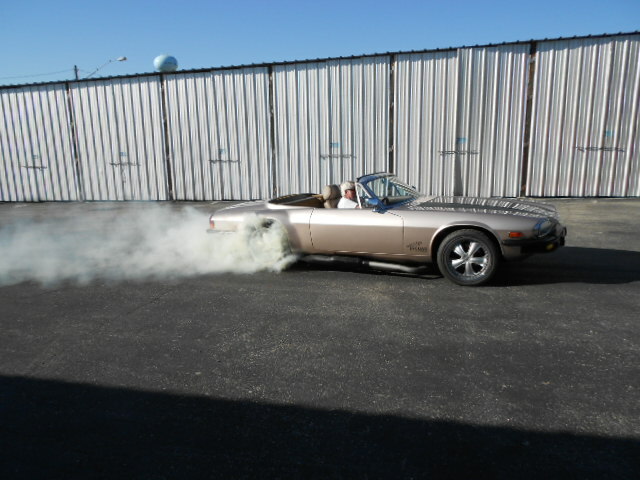 V12 engine has a lot of weight on the front ,after many years on the springs, its all about smooth ride! 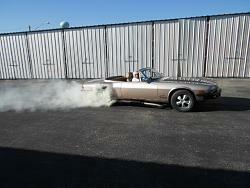 and the XJS already has the battery in the trunk!